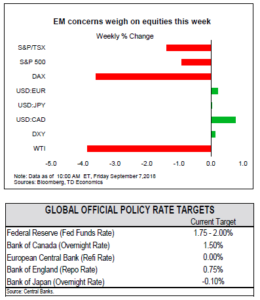 Concerns about emerging markets continued to weigh on investor sentiment this week, with the selloff in EM assets and currencies spreading beyond Turkey and Argentina. Meanwhile, domestic data remained positive. 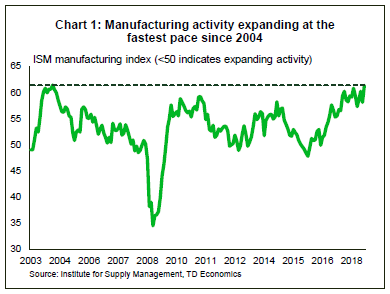 ISM indices for both manufacturing and services sectors rose handsomely in August. The payroll report delivered another batch of good news with 201k new jobs created on the month and wage growth accelerating. All told, the U.S. economy continues to boom, giving the Fed little reason to alter its interest rate normalization plans that include another increase on September 26th. 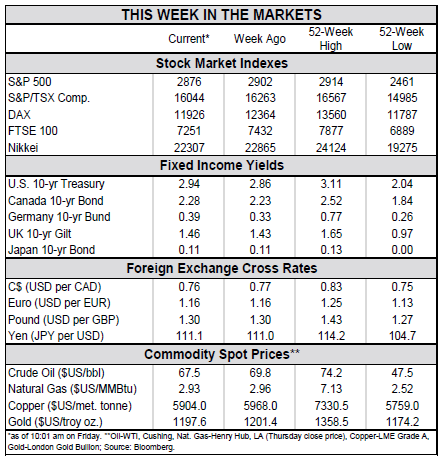 Trade developments and payrolls stole the limelight in this busy, holiday-shortened week. Concerns about emerging markets continued to weigh on investor sentiment with the selloff in EM assets and currencies spreading further beyond Turkey and Argentina. Meanwhile, the increased risk of another round of economic sanctions has sent the Russian ruble lower. While selling pressure eased somewhat by the week’s end, headwinds battering emerging markets are unlikely to dissipate soon. U.S. expansionary fiscal policy is buoying domestic growth, putting upward pressure on the dollar, inflation, and interest rates. At the same time, trade spats with China and other U.S. trade partners are weighing on overseas currencies and global growth. As a result, dollar strength coupled with worries about trade should continue to fuel investor flight from emerging markets. Meanwhile, if cracks are appearing in U.S. business confidence, they were nowhere to be found in the August data. ISM indices for both manufacturing and services sectors rose handsomely (Chart 1), suggesting that U.S. industries remain at the top of their game. Even as tariffs continue to raise costs and play havoc with supply chains, companies report rising new orders and expanded production on the back of solid domestic demand that offers a deep cushion against potential tariff impacts. Strong sentiment and economic momentum is boosting hiring, as evidenced by today’s payroll report, which showed that 201k new jobs were created in August. 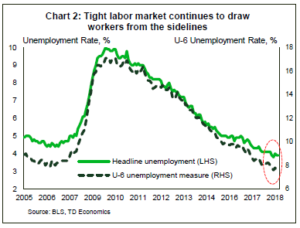 With the jobless rate hovering at historic lows, it is becoming increasingly difficult to find workers to fill positions. 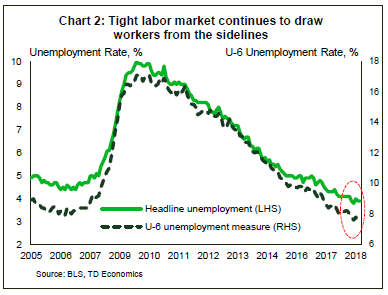 This continues to draw in workers from the sidelines (Chart 2) and also motivating firms to raise wages. As a result, the closely watched average hourly earnings measure rose 0.4% in August, accelerating to 2.9% on a year-over-year basis. This is the fastest pace of wage growth of the recovery, and may prove to be the start of the long-awaited sustained pickup in wage growth. Clearly the U.S. economy is barreling full steam ahead, and the estimated impact of tariffs has so far been quite small. The $50 bn in import tariffs on China and the steel and aluminum tariffs may shave roughly 0.2 ppts off U.S. real GDP growth in about years’ time, and add two tenths of a point to inflation. However, as we note in our report, the tariffs in place are only the tip of the iceberg relative to those under review or threatened. So far the U.S. has levied tariffs on $107 bn of imports into the U.S., but the total tariff action under consideration amounts to $715 bn. If implemented, they could place about 1.2 ppts of U.S. and 0.4 ppts of global growth at risk. All told, an escalation in the trade spat with China and waning global demand may yet test the durability of the current expansion. However, for now the U.S. economy continues to boom with little reason for the Fed to alter its interest rate normalization plans that include another quarter point increase on September 26th.